This is a perfect gift for Christmas! 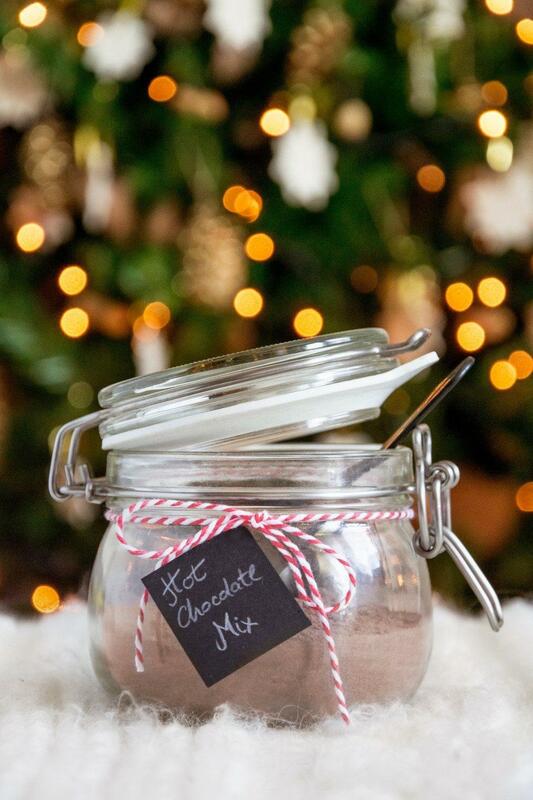 Homemade hot chocolate powder in a beautiful jar and a personal tag. Don’t you just love homemade gifts? 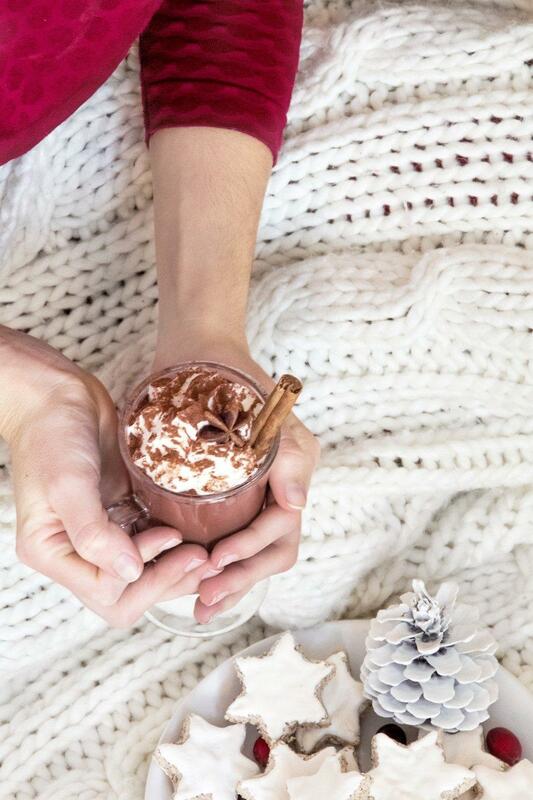 Let’s get warm with some homemade hot chocolate! It’s so cold outside, even I have the heaters turned on. And I’m that person who sits in a cold room in only a T-shirt, while others are trembling in their sweaters. My husband is turning the heaters on all the time and I go after him turning them off. Well, not today. My hands are freezing and I’m having trouble typing. I need a hot chocolate! Plus, it’s time to make gifts, and I love homemade gifts. Have you ever felt nervous, because you just didn’t know what to give people for Christmas? Well I have and a few years ago me and my husband made it a tradition to give our loved ones homemade gifts. No more fuss about buying gifts at the last moment. Last year I made homemade hot chocolate mix to give away as presents. I was experimenting with quite a few recipes. And dealing with all types of powders resulted in a dust cloud in my kitchen. I could hardly breathe and my lungs were burning for hours, but turns out it was worth it. I love it so much. I’m not a huge fan of store bought hot chocolate mixes, because they are too sweet and too expensive. This recipe calls for way less sugar, then there is in the bought ones. But if you like it sweet, go for it. Add a little more sugar. Sift cocoa powder, powdered milk, corn starch and icing sugar through a sieve into a big bowl and add vanila, salt and cayenne pepper. Combine it thoroughly with a whisk or move it to a blender and mix until it is well combined. That's it! Pour the milk into a small pot, add the hot chocolate mix and put it on medium heat. Stir well with a whisk. You need to stir at all times, or it will burn, especially at the end. Hot chocolate should be ready to serve in about 10 minues. Stiring the hot chocolate while cooking is absolutely neccessary. It might start sticking to the edges a little. Just don't scrape that part off or your hot chacolate will get a burned flavour. Try adding your favourite spices into the mix. 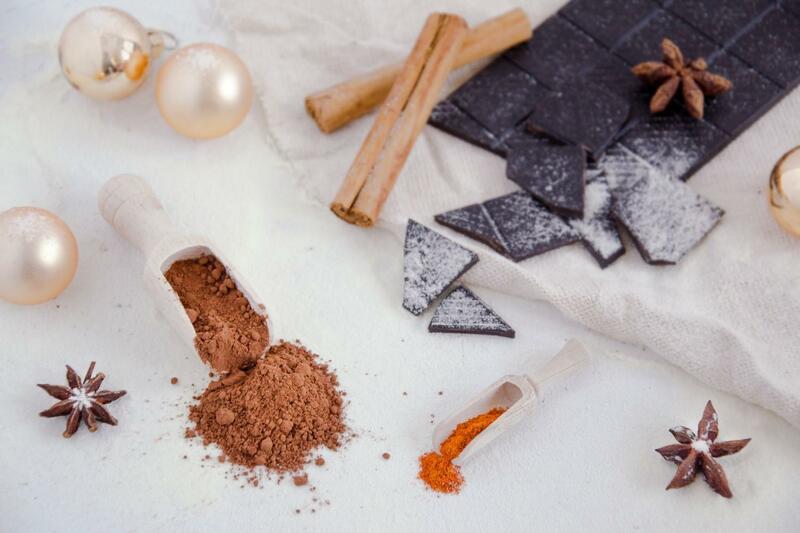 Cinnamon, cloves and nutmeg are perfect for this season. 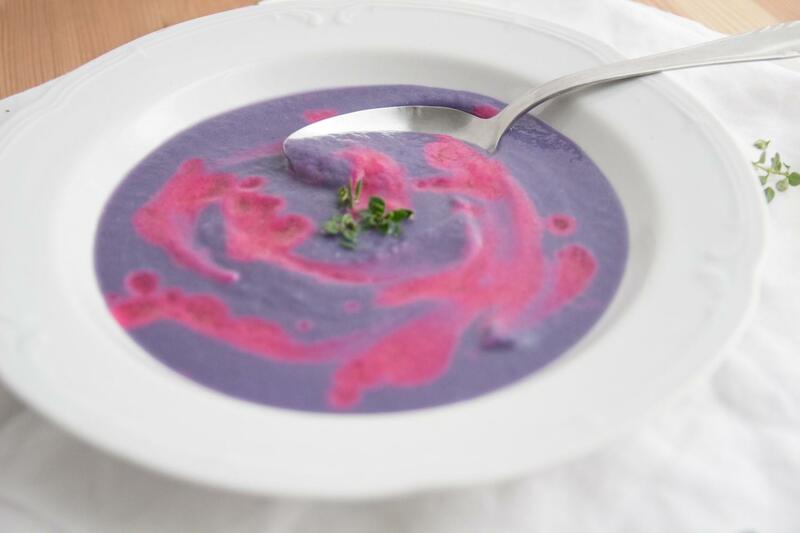 The amazing colours come from squeezing lemon juice into the delicious red cabbage soup. I’m waiting for snow to fall again. Until that happens I have to settle with cold and sunshine, which I like almost as much as snow. In good weather like this we all deserve a healthy and colourful meal like I’m about to show you – a rainbow cabbage soup. I’m so happy to be sharing this recipe with you. Red cabbage is in season right now, so there’s lots everywhere. It’s loaded with vitamins and minerals. And according to Science Daily it promotes heart and brain health and protects us from cancer. So yay for us cabbage lovers and the ones who will become cabbage lovers after tasting this soup. I feel like red cabbage is so underrated. 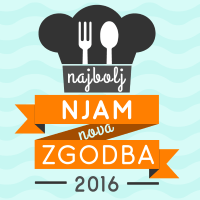 Here in Slovenia we eat it mostly braised a side dish or in salads. But it is magnificent in a soup as well. The rainbow cabbage soup is quick and simple and sooo delicious. Squeezing in few drops of lemon juice gives it wonderful vibrant rainbow colour. When I first tried squeezing lemon on this soup I was pleasantly surprised by this amazing reaction. I realised that it is not just super tasty but also fun. And that’s the point of cooking. To have lot’s of fun! Chop the onion into small pieces. Melt lard in a medium size pot and add the chopped onion. Fry the onion until it gets golden and translucent. Meanwhile cut the cabbage in half and then into thin slices. Add them in the pot. Add the hot water and thyme. Cook for about 10 minutes until the cabbage is soft. Remove from the stove. Put everything in a blender, add milk, salt and pepper and mix well. Taste for seasoning before serving. Squeeze a few drops of lemon juice onto the soup for the wonderful colour.